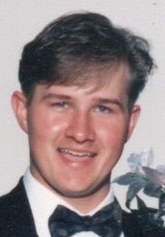 Nathan T. Forbes, 41, of Dubois, PA, died Monday, December 3, 2018 at his home in Dubois, PA.
Born March 30, 1977 the son of Bruce J. Forbes and Shelvey J. Buffington. Nathan attended school in Orleans Vermont where he graduated. He also attended the University of Vermont on a baseball scholarship. Nathan is survived by his parents and a son Jaden Forbes. Nathan was a free spirit that enjoyed traveling, working with his hands painting, playing musical instruments, wood working and playing sports. Per the wishes of the family, there will be no public services. Funeral arrangements are entrusted to the Furlong Funeral Home, 140 Cherry St. Marienville, PA.